When you’re seeking insulation contractors in Conover or a nearby community in North Carolina, don’t settle for just anyone – choose 31-W Insulation. Our teams of highly trained and experienced installers are committed to making sure the job is done right. We work hard to perform efficient yet thorough installations of insulation to ensure that the risk for heat transfer is reduced and that you’re able to enjoy more stable temperatures in your home as soon as possible. And, since your HVAC system won’t have to struggle to keep up with the summer’s heat or winter’s chill, you could save on your energy bill and reduce your carbon footprint. 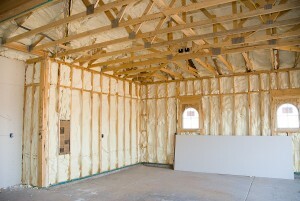 Our insulation contractors are highly knowledgeable about which insulation products are the best in the industry, as well. That’s why we install top-of-the-line insulation from companies like Tytan® Foam Sealants, Owens Corning®, and Demilec for every project. To find out more and request a free estimate from our insulation contractors for your home in Conover, North Carolina, contact 31-W Insulation today.